We are a few months into the 2016-2017 season, and we now have seen enough of the shows airing to say which shows are leading the pack. There are a lot of great shows on television right now. It is a great era to be a TV viewer. Here is a look at the top five TV shows of 2016-2017. Fans of great television who do not have HBO need to contact their cable providers immediately. The premium channel has been leading the way in quality TV shows for more than a decade now, and ”Westworld” is the latest in a long string of hits. The show tells the story of a futuristic theme park filled with androids where patrons can live out all their fantasies no matter how depraved. The topnotch cast is led by an amazing Anthony Hopkins. Now in its 10th season, “The Big Bang Theory” shows no signs of slowing down. The show is about a group of nerds who navigate their awkward ways through life, and it is always hilarious. This is the best sitcom on TV. If you are looking for a show that will make you laugh out loud consistently, this is the one for you. Jim Parsons in his role as Sheldon Cooper is particularly incredible. This is perhaps the one sitcom that can give “The Big Bang Theory” a run for its money. The mockumentary follows a sprawling family that is very unique. ”Modern Family” is a show that appeals to viewers of all ages and backgrounds. The wonderful ensemble cast is so diverse that everyone will find a character that they can identify with. This is a show that will constantly surprise you. If you are tired of cheesy romantic comedies, this is the show for you. “You’re the Worst” delights in turning all the conventions of traditional romantic comedies upside-down. It is about two jaded cynics who absolutely refuse to believe in love until they meet each other. Even when they fall in love, they do it in a wacky way that will make you cringe and laugh in equal parts. You will be blown away by all the awkward situations the characters get into in this laugh-out-loud comedy. Many critics called ”Breaking Bad” the greatest television show of all-time. Anyone who has seen it would be hard pressed to disagree with that assessment. “Better Call Saul” is a spinoff of “Breaking Bad.” While it may not be quite as good as “Breaking Bad,” it is at least in the same neighborhood. The show is a prequel, showing how Walter White’s lawyer Saul Goodman came to be the shady figure we see in “Breaking Bad.” Bob Odenkirk is simply magnificent as Jimmy McGill, which is the real name of Goodman. You also get to see more of Jonathan Banks as cranky Mike Ehrmantraut, which is always a delight. 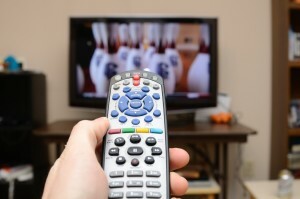 If you are ready to improve your TV viewing, check out all five of these amazing television programs. With the variety of great TV shows on the air today, all viewers are sure to find a show that appeals to them. Enjoy these five great shows, and you will start to see why it is a golden era for television.